LONDON, United Kingdom — Australian fitness franchise F45 has opened its European headquarters in London ahead of another ambitious phase of expansion. The office, located near Oxford Circus, will support the brand’s existing studios in the UK and Europe and play an integral role in expansion across new markets such as Germany. According to Luke Armstrong, Global Sales Director at F45, as London’s fitness industry continues to grow in both size and value, the city will be a strategically important market for the business moving forward. “There are over 7,000 gyms in the UK, nearly 15 percent of Brits now belong to a gym but the majority of these operations are inferior when it comes to customer satisfaction,” he commented. F45 plans to fill that void. As the world’s fastest-growing functional training network, F45, which launched in 2011, has sold more than 1000 studios across 36 countries under its franchise model. Set on further expansion in the US, Canada, Europe and Asia, its goal is to have 1,500 franchise agreements in place by the end of 2018. 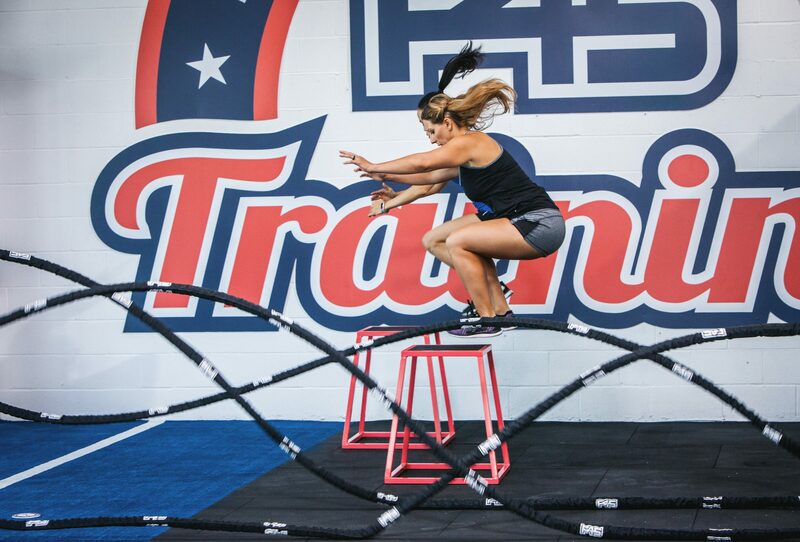 By offering franchisees a unique business opportunity in the fitness industry through a low set-up cost, high margin and highly engaged community, F45 argues that it is setting itself apart from competitors. “We have worked tirelessly to create a truly revolutionary and innovative brand that can flourish and grow in any country. This is evident in the accelerated growth we have seen in just four years. As a result, we are well on the way to becoming a household name around the world,” commented Rob Deutsch, Founder of F45, earlier this year. Read more: Is F45 Ready To Steal CrossFit’s Crown? Having already expanded significantly in London during the first half of 2018, future sites including Victoria, Battersea Park and Brixton will all launch before the end of the year. In addition, Birmingham, Ashtead, Bath and Bristol are all slated to open over the coming months, as the brand increases its focus on inner-city hubs outside the capital. Elsewhere the fitness powerhouse has been busy with the launch of its ‘Collegiate Program’, a first-of-its-kind partnership with US Colleges where F45 Training is offered on campuses. More than ten colleges across the US are currently participating, with more set to join the program imminently. With the initiative, F45 hopes to ‘create sustainable habits of functional fitness for life’, cultivating a tribe of loyal customers along the way.